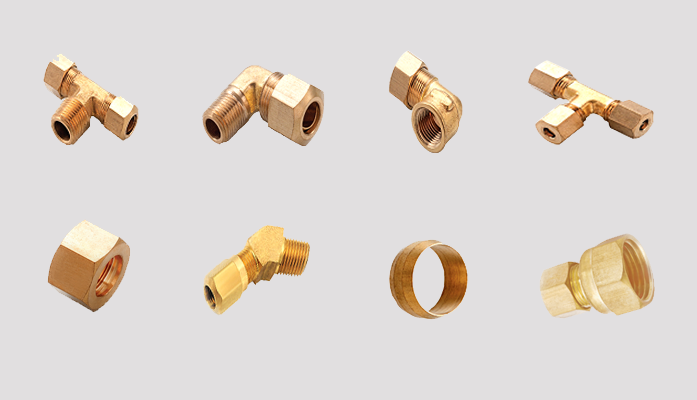 Compression fittings meet functional requirements of SAE J-512. Use with annealed copper, aluminium, and thermoplastic tubing. Not recommended for steel tubing. Manufactured for low and medium pressure tubing connection work where excessive vibration or tube movement is not involved. Temperature and type of tubing used are important factors. However, the following table is a good guide for proper selection. Temperature 73oF. For thermoplastic tubing, see manufacturer’s recommendation for pressure range.